While the mechanics and structure of the Mod are very straightforward, an interesting conundrum seems to accompany this seemingly simple minigame. 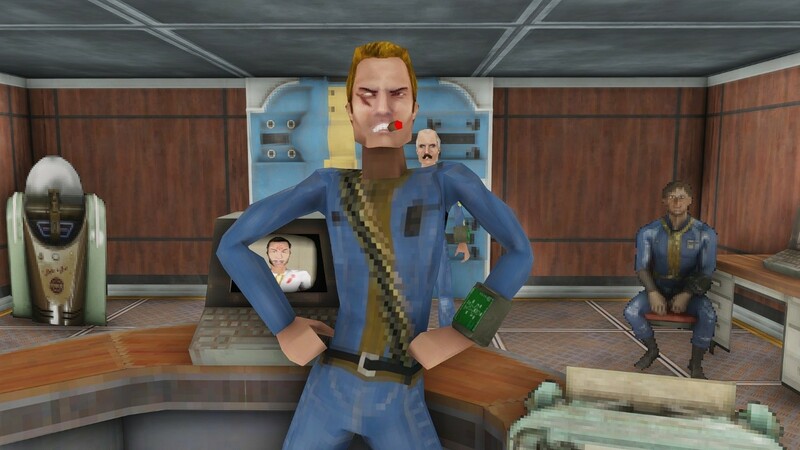 Fallout 4 is a game only possible with modern technology and game design. The amount of work put into games today can be astounding, but why is it that someone wanted to escape from a far more complex and immersive and technically impressive gaming experience for worse graphics, worse sound design and worse voice acting? 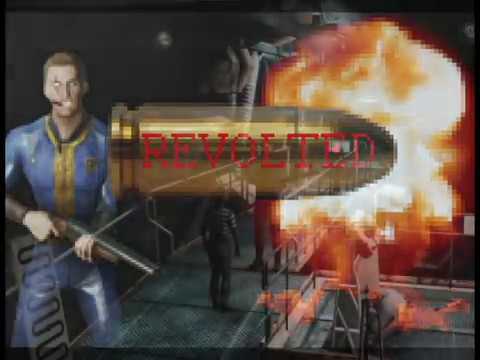 Are gamers so stubbornly attached to nostalgia that they will go out of their way to escape from a modern game while playing it? I happen to disagree as a matter of fact. Integrating retro-style minigames is actually nothing new. The Sierra and Humungous Entertainment adventure game franchises; which date to the age of retro-gaming offered minigames as well. 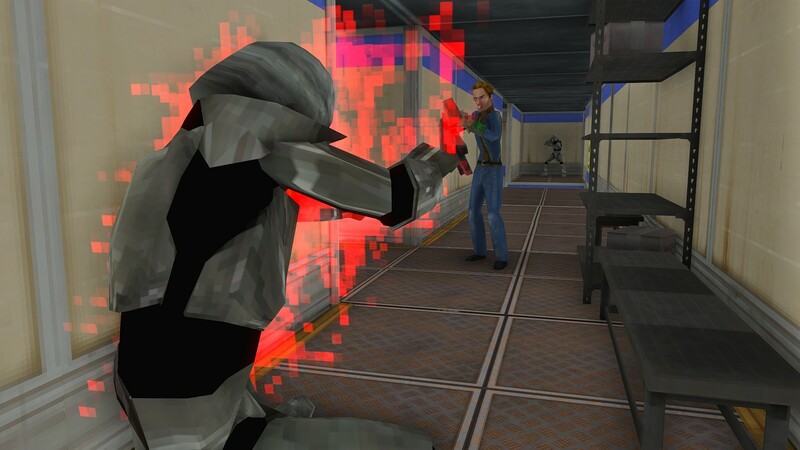 I think gamers are not clinging to nostalgia so much as finding novelty in playing a functioning game within a game. 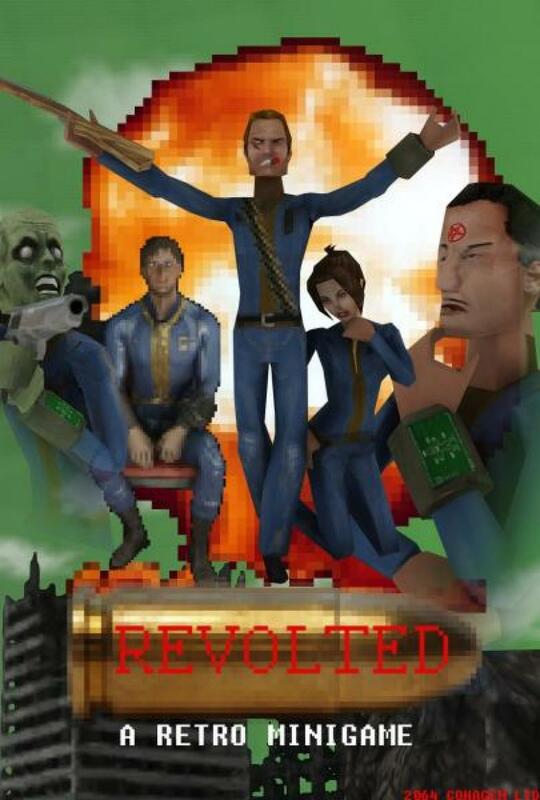 The Revolted mod can be downloaded from Nexus Mods here. 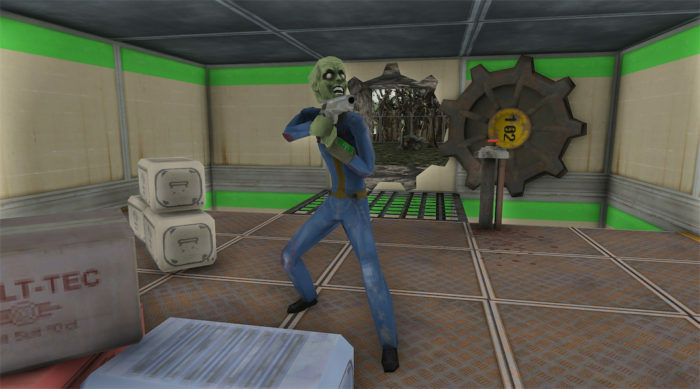 Whether you are looking for a nostalgia trip or a simple escape from the Wasteland, the best thing about the mod I think is that it is a minigame, making it completely optional not only to download of course being a mod, but also that You can still pick up the main game when you’re done. Hi there, my name is John. I think of myself as a bit of an enigma around these parts. I somehow manage to balance my love of Games, Anime, Jesus and History into one brain, oh and I can write good.